If you’re looking for an affordable solution for your industrial manufacturing facility, then U.S. Buildings has exactly what you need. Our steel buildings offer column-free interiors with widths up to 200 ft and unlimited lengths, providing effective usable space for your manufacturing needs. All of our buildings can be fully customized with skylights, windows, insulation, doors, vents and more to accommodate customer needs. Whether you are a large corporation or small one-man show, our specialists can guide you through our process and recommend the perfect structure for your long-term needs. 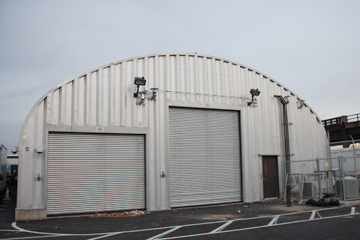 From manufacturing facilities, equipment storage and warehouses, commercial offices or retail outlets, we’ve got the steel metal building to meet your needs. Call U.S. Buildings now toll-free at 800-222-6335 to speak with one of our steel building specialists. Be sure to ask about our factory direct building specials that could save you up to 60% off your steel structure. Simply give us the dimensions and needs of your building projects and we’ll provide you with great options, a competitive price and a building that you’ll be proud to show off. Call us now!